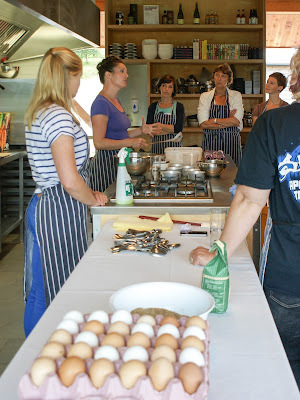 When I was invited to River Cottage HQ to review their gluten free cookery course I didn't need to be asked twice! As a bit of a River Cottage groupie, I was thrilled with the idea of visiting the iconic farm and delighted that they were offering something for the Coeliacs. The course, Gluten Free Cookery, is run by Naomi Devlin, a nutritionist and fellow free from-er, whose passion for great food permeates the day. Each of us on the course were there for different reasons, and we represented the whole range of the gluten free spectrum. The established Coeliacs (diagnosed for 20+ years) learned as much as the new-to-gluten-free people. There were even non-gluten-free people, learning how to cook for loved ones, or customers, with various gluten intolerances. We all left with our heads full of new information and skills we couldn't wait to get home to practise. The day starts, like all cookery courses at River Cottage HQ, with a tractor ride from the car park to the farmhouse. By the time we disembarked at the bottom of the hill, we were already friends – it's a bumpy, but pleasant, bonding experience! 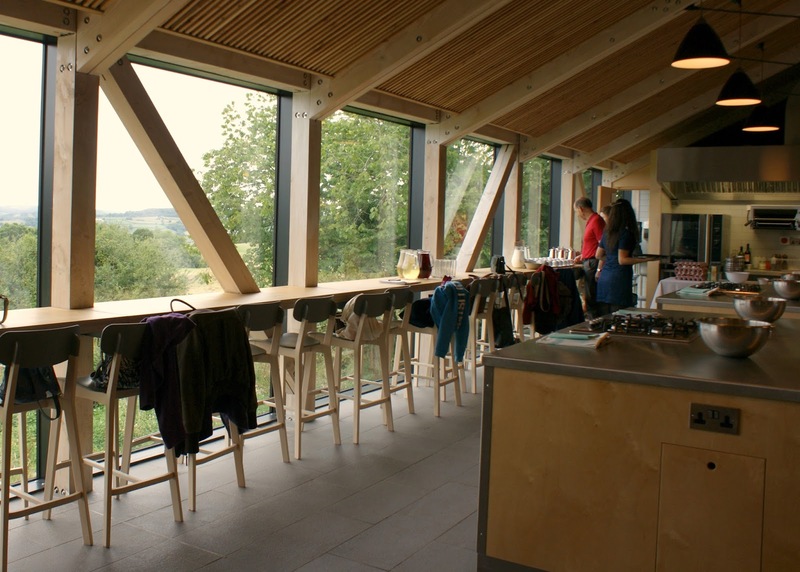 The (newly refurbished) cookery classroom came complete with tea and coffee, delicious tortilla breakfast snacks, and inspiring views of the Devon countryside from the floor-to-ceiling windows! 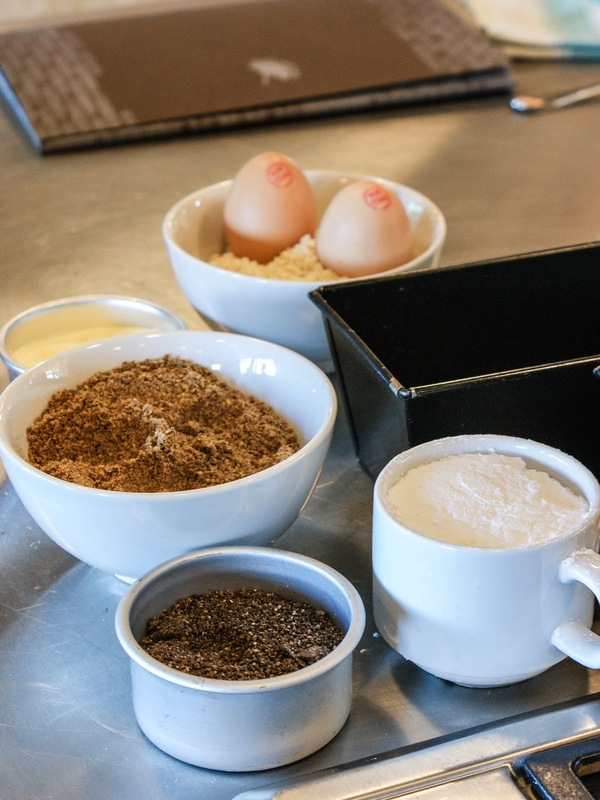 Naomi demonstrated every item clearly, and with enthusiasm, peppering each demo with information about gluten free flour and their properties, avoiding cross contamination, nutritional tips, and more. Starting with a yeasted pastry for kleicha (a sweet Iraqi treat) and the sponge for our sourdough bread, Naomi began to address the fact that to bake gluten free we first had to throw out all everything we'd learned about baking with wheat flour. She showed us the consistency to expect when mixing a GF dough and explained that gluten free flours absorb more liquid than wheat flours, so a wet-looking lump would transform given time. Chocolate chip cookies came next. As someone who "accidentally" licked her fingers after mixing the dough, I'm not sure if much of this mix would actually make it to the oven at home. Ours were rather bigger than the rest of the room's so took a little longer to bake, a few minutes that seemed like hours just before lunchtime! These cookies are set to become a common occurrence in my kitchen, they were absolutely delicious. Our expectations of how to bake were challenged again when we made pastry. The dough was much wetter than any of us felt comfortable with, and I could tell that a few of us were sceptical that it would ever become pastry. We were proven wrong later that day. 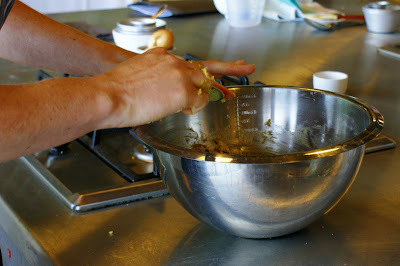 We also finished mixing our bread dough before lunch. Adding a variety of wholesome ingredients to the bubbling sponge, I could tell that this bread felt distinctly different to any gluten free bread I'd made before. The dough was sticky and lighter than other doughs, whilst being less liquid than a lot of packet mixes I've tried. The way the dough rose over lunch was proof enough that this was going to be a thoroughly successful bread. Lunch was everything you'd expect from River Cottage. Pork, from one of the pigs on the farm, with grilled vegetables so fresh they were probably still attached to their respective plants mere hours before landing on my plate and a gently spicy sauce that I could quite happily have bathed in. Dessert was a fresh combination of apple sorbet and blackberry compote that finished the meal perfectly. It was, of course, gluten free and vegetarians and dairy free diets were equally well catered for. Lunch was a great opportunity to chat to some of my coursemates who I had yet to meet. They were such a friendly bunch, and everyone was as excited as me to be on such an informative course. Suitably sated and refreshed, we returned to the kitchen to bake our bread and roll out pastry. 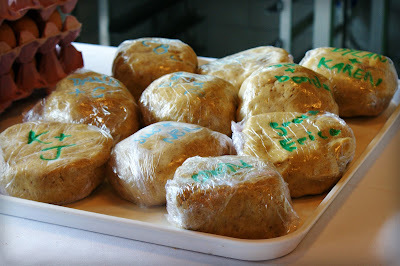 Rolling out between two sheets of baking paper for ease of transport from worktop to baking tray (and to avoid cross contamination from wooden rolling pins), we noticed how soft and workable – pastrylike – the dough was. The lesson was starting to sink in! We used the pastry to make pissaladiere, a quick and easy dinner, while Naomi suggested ways we could prepare the pastry in advance. As our pissaladiere cooked, Naomi showed us how to turn the yeasted dough from that morning into kleicha, giving us an opportunity to try for ourselves. Once baked, we all tucked in to the two varieties of these stuffed cookies to a chorus of "yum"s.
Finally, muffins. 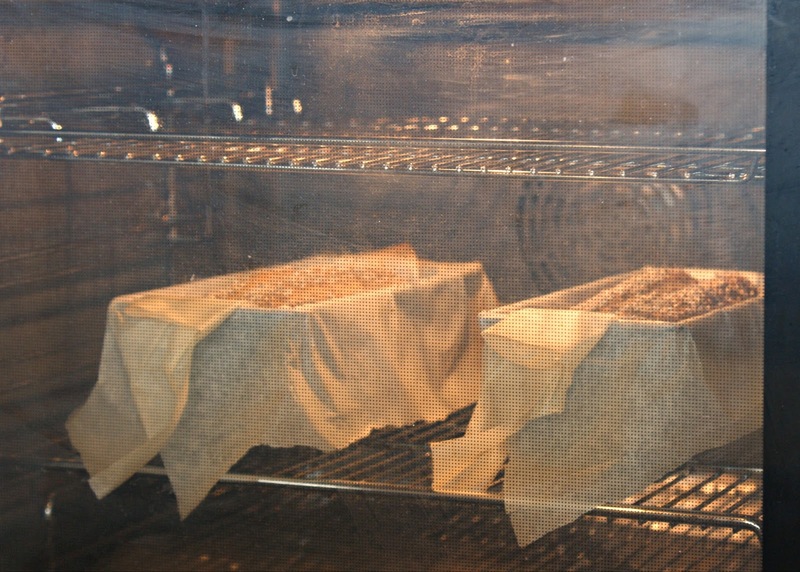 Again, as we filled our muffin cases right to the top, we realised how much we had to re-learn after our wheat baking days (even those of us who've been baking gluten free for years). It was interesting to watch them bake, through the oven door, and see how this seemingly odd practice of filling the muffin cases worked to produced perfectly golden, domed muffins. This course completely shattered every expectation I had about what a gluten free cookery course might entail. Apart from the obvious benefit of a mountain of baked goods to take home, I found the information Naomi shared to be the best thing about the day. 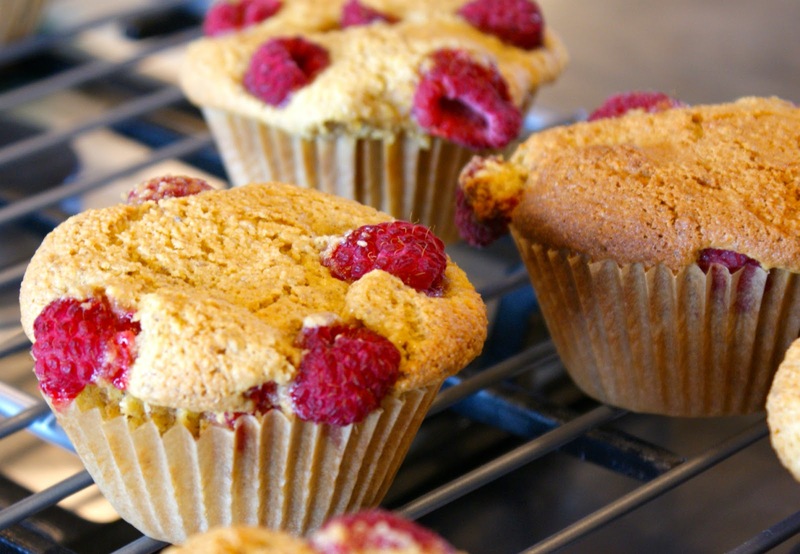 Her natural style and self-confessed geekiness about nutrition meant that I couldn't help but be enthused about the possibilities of gluten free baking. I'm a keen GF baker and now I feel like my own passion has been renewed and I'm approaching my own baking with a refreshed vigour, thanks to Naomi. Would I recommend this course? Undoubtedly. Is it worth the £180 course fee? Yes, I think so; it runs from 9am to 5pm and the day is packed full of activity. No, it's not cheap, especially if you're traveling to, and staying in, Devon just for the course, but the fees are comparable to other courses around the country, and Devon is a lovely place to visit. Are there any negatives? Erm, not really, no – if the reactions in the tractor on the way back up the hill are anything to go by. 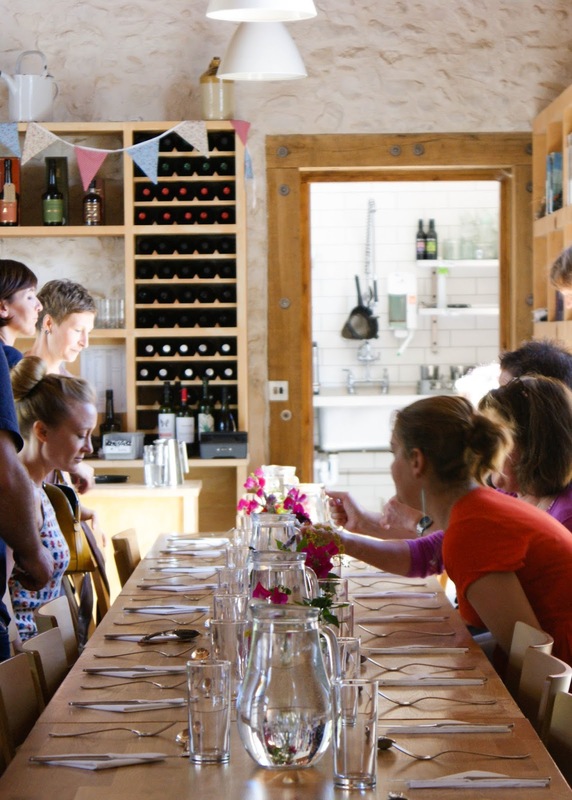 Gluten Free Cookery at River Cottage HQ offers passionate and knowledgable instruction in making good wholesome food in a beautiful setting. I'd heartily recommend it to everyone. Wow this looks great, especially those chocolate chip cookies..mmm! 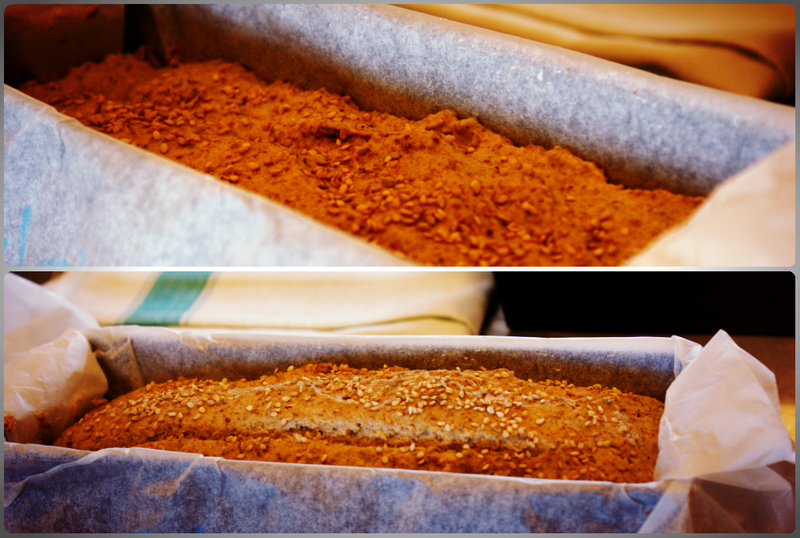 The bread looks amazing! It looks like a fantastic cookery course.